A great way to get your roof ready for spring is to install new gutters. Your gutter system is responsible for channeling all the rainwater from your roof, so it doesn’t affect your home. 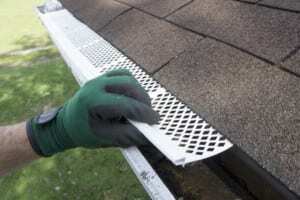 If you already have a gutter system, it’s important to check it for damage and clean it of debris at least twice every year. It’s also important to inspect your shakes or shingles before spring comes. Has your roof been damaged during the winter? Are you experiencing leaks? If so, your roof shingles might have been damaged or blown off by strong wings or ice deposits. Make sure to inspect your flashing as soon as possible before spring comes. During days with higher precipitation, you might find areas where your flashing is damaged could leak, and the water can severely affect your decking and even reach your attic. It can be entirely easy to go through all these tasks and inspect the roof yourself. However, if you want the best experience of all, it would be best to contact the most experienced Colorado Springs roofing company and ask them to help you out.